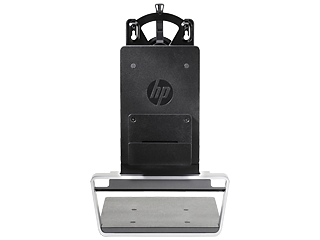 Help prevent unauthorized access to the rear ports of your HP Desktop Mini with HP Desktop Mini G3 Port Cover Kit. One-year limited warranty. Additional support is available 24 hours a day, seven days a week by phone as well as online support forms. 1 Sold separately. See product QuickSpecs for exact device and display compatibility. 1 Sold separately. 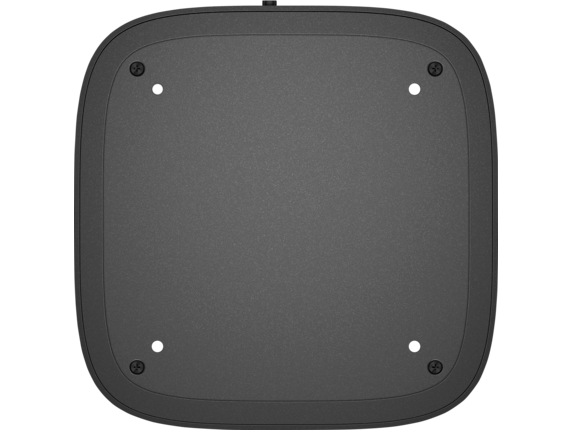 2 HP Elite Slice Covers require factory configuration and cannot be used with other HP Elite Slice Covers. The HP Integrated Work Center — Desktop Mini / Thin Client carries a one-year limited warranty. Technical support is available seven days a week, 24 hours a day, by phone, as well as online support forums. Certain restrictions and exclusions apply. 1 IWC is compatible with displays up to 24 diagonal inches. See QuickSpecs for exact device compatibility. One-year limited warranty. Additional support is available via online support forums. 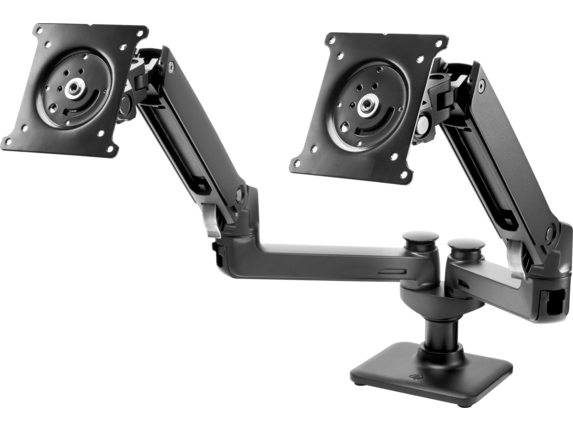 1 Includes one monitor arm and extension, hardware. This arm is not a standalone product. 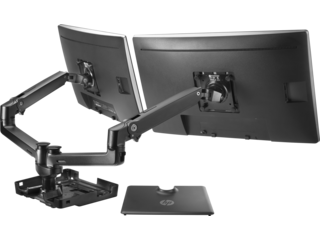 It is intended only for use with the HP Hot Desk Stand, SKU #W3Z73AA, sold separately, to create a dual-monitor configuration. Displays sold separately. 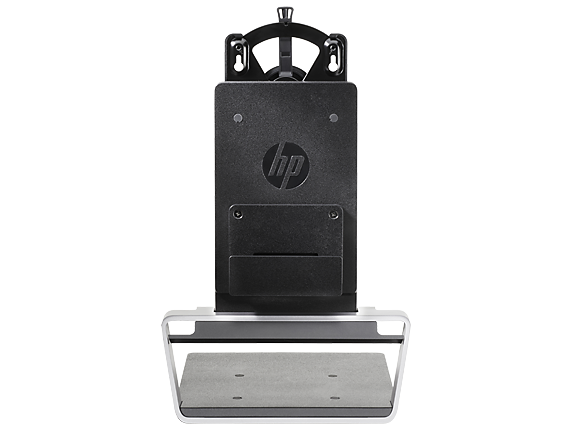 Quickly and easily back up files and access content from your choice of optical media with the HP ODD Module that snaps into your HP Elite Slice solution for a simple unified footprint. 1 Connector can only be used to connect HP Elite Slice modules. 2 Sold separately. Turn your HP Business Notebook into a desktop solution supporting up to a 24 inch display. 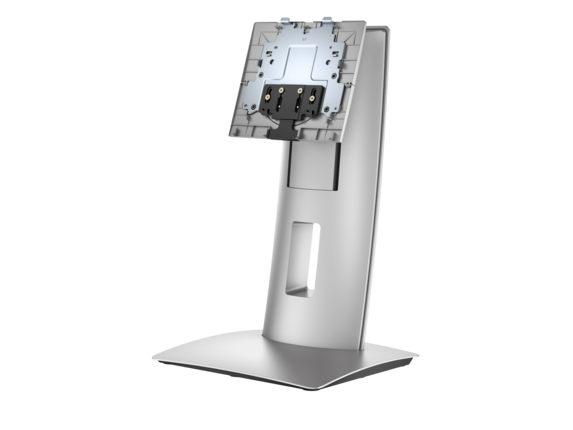 A dual-hinged, smooth-motion display stand allows for greater depth, height and tilt adjustment for maximum comfort. 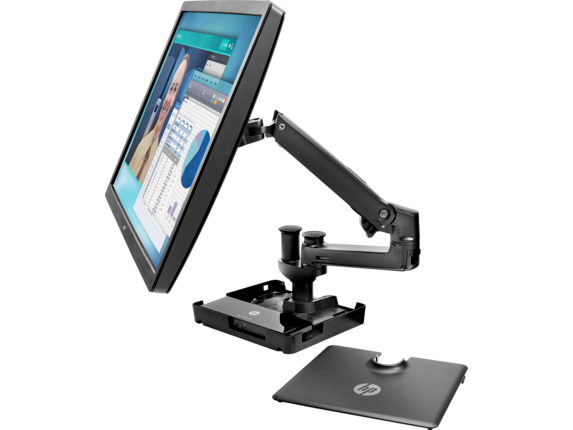 The adaptable design of the HP Adjustable Display Stand accommodates notebooks that can be connected to a docking station and notebooks that do not have a docking connector. 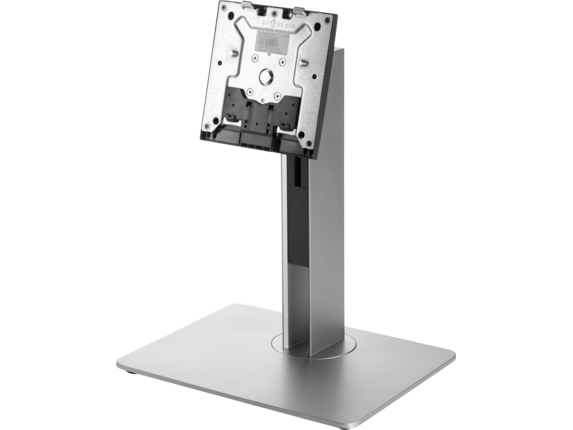 The HP Adjustable Display Stand is compatible with all HP Notebook PCs and LCD displays up to 24 diagonal inches (60.96 cm) with a 100-mm VESA mounting pattern. Note that this product is not compatible with the HP 2560p Docking Station (LE877AA). Convert your HP Elite Slice into a speakerphone or a multimedia player with the HP Audio Module. 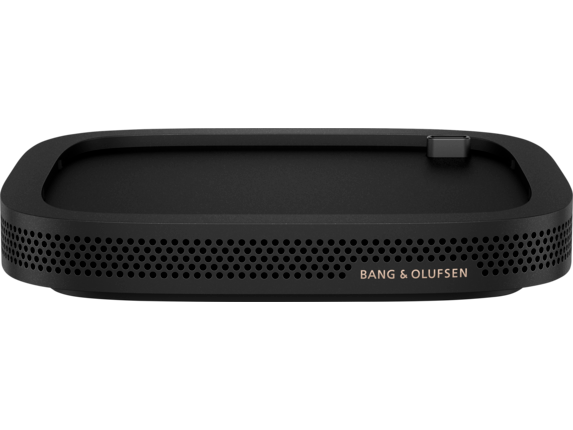 Meetings, video, and music come to life with impeccable sound and clarity, custom-tuned in collaboration with audio experts at Bang & Olufsen. 1 Connector can only be used to connect HP Elite Slice modules. 2 HP Elite Slice Covers require factory configuration and cannot be used with other HP Elite Slice Covers. 3 Sold separately. Your Option Limited Warranty is a one (1) year (HP Option Limited Warranty Period) parts replacement warranty on any HP-branded or Compaq-branded options (HP Options). Certain restrictions and exclusions apply. 1 Mobile device must natively support Qi, PMA and A4WP technologies or be configured with an adapter, sold separately. 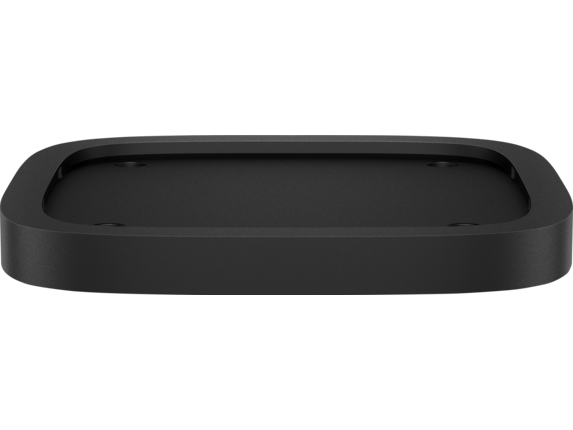 Compatible with HP 3005PR USB 3.0 Port Replicator and HP Elite USB Docking Station. One-year limited warranty. Additional support is available via online support forums. NOTE: Certain restrictions and exclusions apply. Consult the HP Customer Support Center for details. 1 Dock sold separately. 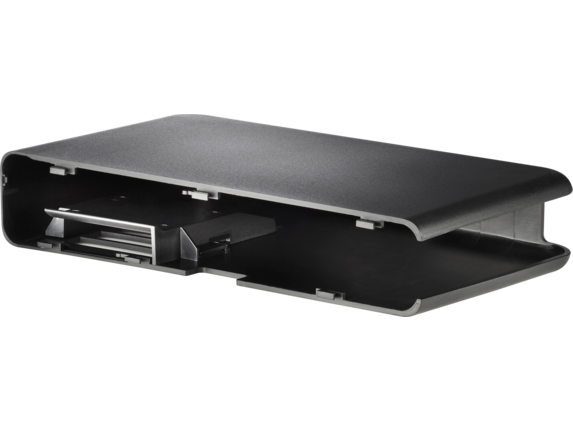 USB-C™ dock powers notebooks that accept power input through their USB-C™ port. 2 Sold separately. HP Hot Desk 2nd Monitor Arm must be used with the HP Hot Desk Stand. The HP Hot Desk 2nd Monitor Arm with HP Hot Desk Stand can hold dual 27" diagonal monitors. Working with the right computer stands can offer style, security, saved space, and save you and your employees from straining. 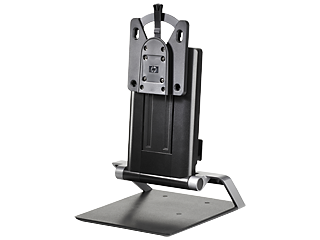 If you’re looking for stands or mounts that can protect your investment, and protect your workforce from a poorly positioned PC, HP® has a great selection for you to choose from. Without the ability to make your screen meet you where you sit, your office chair can only do so much. 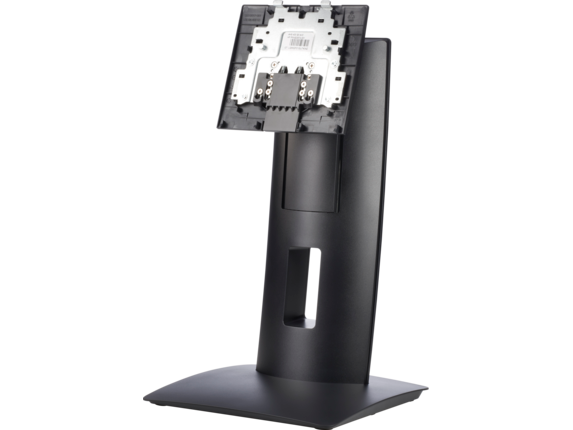 The HP Adjustable Display Stand and HP ProOne desktop and HP EliteOne all-in-one Adjustable Height Stand models makes sure that things are looking up—or down. With a computer monitor wall mount or stand from HP®, you can see your screen from whatever position is comfortable to you, and whoever sits down after you can easily do the same. You want your employees to see eye to eye, but they won't all see things the same when it's eye to screen. That’s why we’ve got computer stands for desks that never stop having visitors. With the HP Hot Desk Stand and HP Hot Desk 2nd Monitor Arm, the work desks in your office won't lead to a strained neck. You can quickly and easily adjust your PC orientation to fit each person, no matter who they are. If you want true freedom when using your PC, the HP Integrated Work Center 3 for Small Form Factor desktops gives you all of the tools. Move your entire system to wherever you need it on your desk, with the ability to tilt, swivel, adjust the height and even pivot the monitor 90° to use your display exactly how you want to use it. 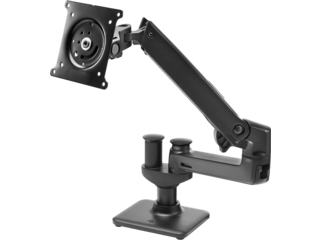 With the HP Quick Release Bracket, you can easily connect a flat panel monitor to stands brackets, arms, or wall mounts and remove them just as quickly. If your device is compatible with VESA standards, you're all set. You also get our reliable locking mechanism that’s made to be failsafe, meaning won't be wondering if it's working or not. It also means your monitor won't be going anywhere, unless you want it to, of course. 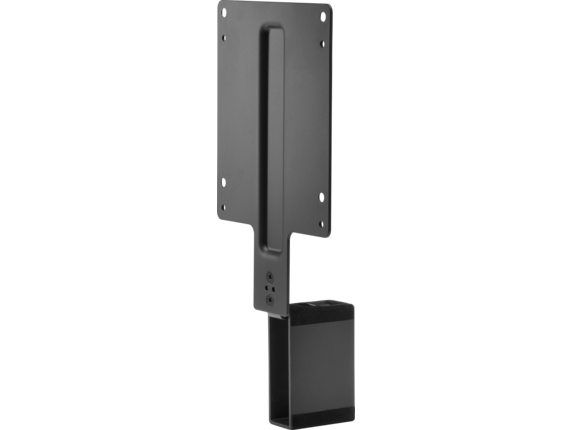 The HP (2013) Wall Mount Small Form Factor Security Sleeve can clear up space while keeping your valuable devices locked down. Keep it where you need it, for as long as you need it. 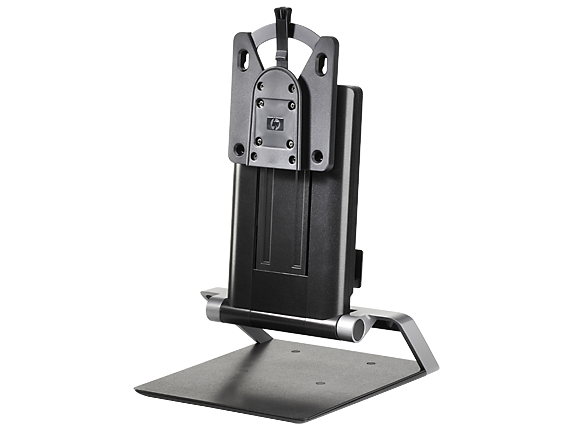 When you add in one of our HP warranty options, you can rest even easier knowing you’re getting high quality computer monitor stands, plus the reliable support HP® is known for. 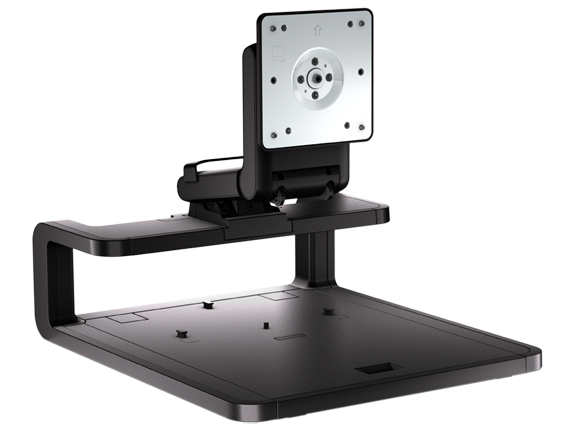 Deciding which mount or stand can shoulder the weight of your computer equipment shouldn’t weigh on you. With computer stands from HP®, you can save your desks a lot of space, save yourself a lot of time finding the right choice, and save everyone that uses your PCs from a lot of pain.